Nothing quite screams “prom fundraiser” like the sound of searing guitars and resounding drumming. Or perhaps what better represents Battle of the Bands is the great mass of people huddled together and throwing their fists in the air. Indeed, the Battle of the Bands’ celebration is an alternative twist to the standard fundraiser. With the date to be determined, the second Battle of the Bands is bound to be a hit. Last year’s Battle had students and faculty alike clapping their hands and stomping their feet. The Battle of the Bands’ Sponsor Wesley Sailor identified the best part of last year’s event. “The whole thing,” Sailor said. “I can’t pick one thing. I am in awe of the talent that everybody here has. While it may seem that this successful celebration has been around for a while, it was actually only recently developed. Of course, it was also a recent decision on behalf of the participants of Battle of the Bands to share their talents with the school community. “Battle of the Bands really just started as a way for me to have an opportunity to play with more people,” Sistrunk said. Although it has a divisive name, Battle of the Bands is actually a form of bringing people together. 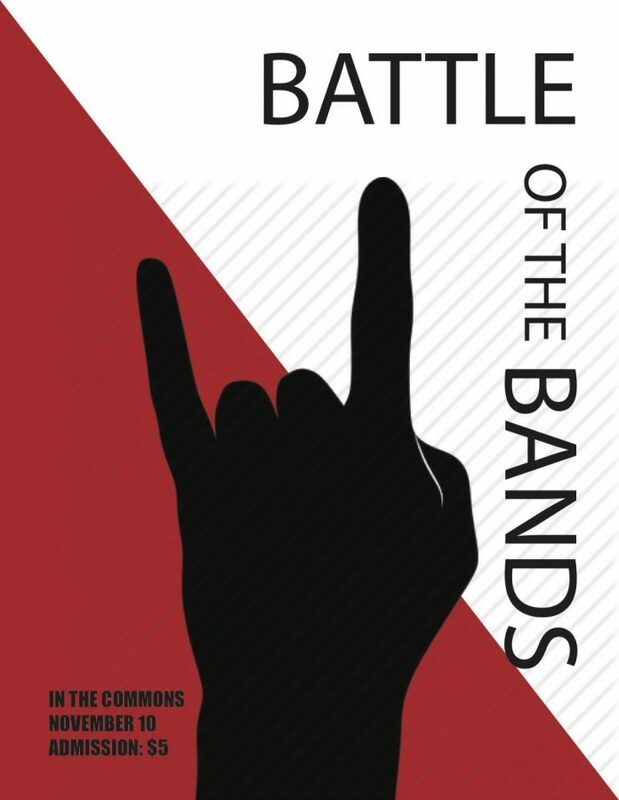 Battle of Bands is a striking development that not only goes toward a good cause, but it also has the power to unite the student body in the name of music.